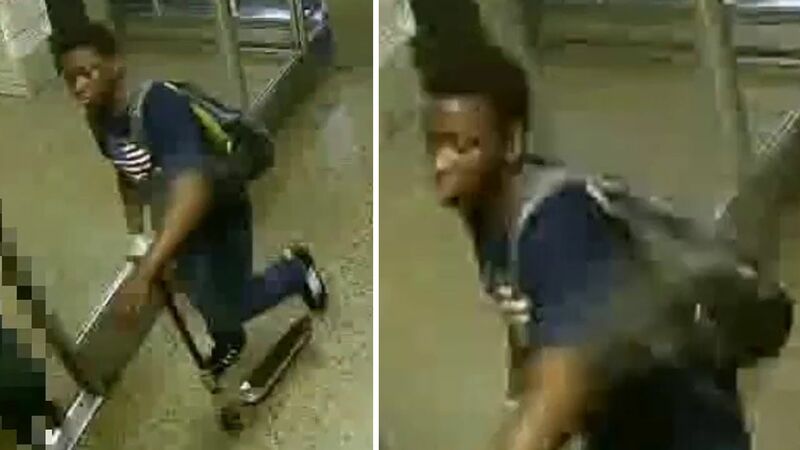 WILLIAMSBURG, Brooklyn (WABC) -- Police are looking for a man, apparently traveling with a scooter, who invaded a woman's apartment, then threatened her with a knife from her kitchen. Around 10 p.m. Aug. 9, a woman was entering her apartment near Taylor Street when a man approached her from behind and forced his way in. According to the New York City Police Department, the victim ran into the kitchen where the suspect grabbed a knife from the sink and pointed it at her. The suspect then dropped the knife on the floor and fled, polcie said. The suspect is described as a black man, approximately 16-20, 5 feet 8 inches tall, 140 pounds, with a dark complexion and black hair. He was last seen wearing a black shirt and a white wrist band on his left wrist.